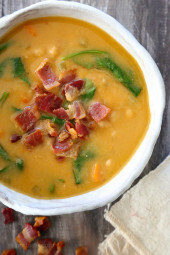 Easy to make, versatile, and so flavorful! I used ingredients I had on hand and had success. You can change up the spice level and ingredients easily. 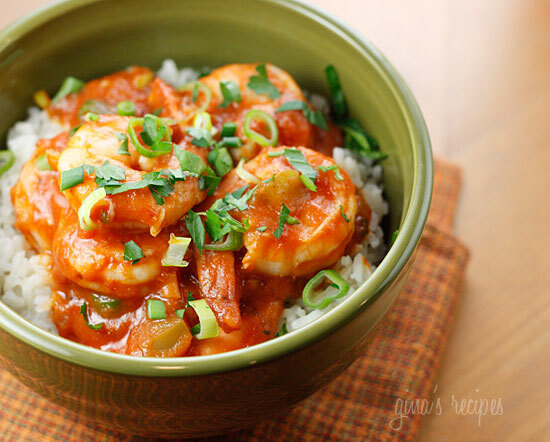 We made this dish for Mardi Gras and it’s my husband ‘s new favorite! Very good! 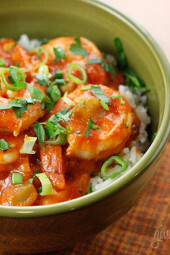 Love this recipe, though we leave out the hot sauce — it’s spicy enough for us with the cayenne and Creole (cajun) sauce — and we sub red peppers because we dislike green. The cajun seasoning is mentioned in steps 3 and 7, which is unfortunate if you don’t read ahead and use up all the seasoning in step 3. But this is still one of my all-time favorite dishes. Unfortunately, I did not have bell peppers but this was delicious and very quick which is a plus. I’ve definitely saved the recipe. It’s been a few hours since I’ve consumed this dish and my belly is still happy. It totally satisfied my smoky, tomato spicy craving. I served it with roasted red pepper and quinoa. There was lots of sauce to mix in with the quinoa. Will definitely make again! Yum! Do you have the calculations for Free Style Points? All the recipes have been update to reflect the free style program. I made this dish for dinner tonight. It was delicious. I followed the recipe to the tee. It was perfect but a tad spicy so if your not a fan of spicy food I would suggest cutting back on the cayenne pepper or the hot sauce at the end of the recipe. I served it over white rice. 1/4 of the entire meal. Thanks for noticing! I just checked again. I can think of no better compliment then to say I would have served this to my proud Cajun mother-in-law and she would have enjoyed every bite of it. Wow! Just made this tonight – it is amazing!!! I did cut back to 1 tsp Worcestershire and 1 tsp hot sauce…I served it over brown rice and it will be a favorite. Next time I have company it will be on the menu. Thank you. What a great recipe to keep coming back to! My boyfriend is from Georgia, so he was hesitant to "let" me make this for him, because no one could make it better than his dad. Let's just say he went back for seconds and the first thing he said when he finished was "That was SOO much better than my dad's shrimp creole!" LOL! And when his dad visited a few weeks later, he even told me to give his dad this recipe!!!! Love it – can't wait to make it again – have bookmarked and pinned it for future use!! Awesome version of this recipe! I've made twice already, and added some leftover frozen spinach the first time, and some zucchini this past time. Incredible flavor and can be stretched with any extra veggie you might have on hand. 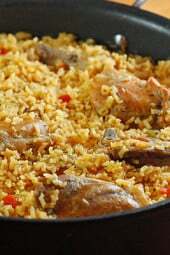 Served with brown rice – YUM! I made this for dinner last night. The only change I made was to bake some Mahi Mahi and use that instead of shrimp. I used the Minute Rice Multigrain Rice — sooo good — nutty and tasty. I laid the fish on the rice and dipped the creole over it. It was beyond words in taste!!!!! We absolutely loved it!!! It will be on the table the next time we have dinner guests. This is great! Made it tonight fairly true to form. Better than other recipes that I've tried. Love it! My fiance and I lived in New Orleans for a long time and were missing the food so we tried this recipe. Love it! We used a lot of veggies and the whole can of tomato paste and skipped the cayenne. Brown rice to be extra healthy! I'd cut back on the hot sauce too, or use the green Tabasco instead of red. This was amazing! I didn't have a couple of the ingredients but it still came out awesome. Kudos! This is easily one of my all-time favorites thanks to you Gina! Thank you so much for your blog! Have this cooking now. My sample was wonderful. I am really looking forward to supper in a few minutes . Fantastic! I sauteed some low-fat andouille sausage with the sauteed vegetables. I was able to skim the sausages off the top of the stew for my picky eaters before I added the shrimp. I put my shrimp in frozen. Finally, instead of purchasing creole seasoning I made Emeril's recipe from spices I already had in my pantry. Thanks Gina for the wonderful recipe. Is that cookbook coming? My 17 year old daughter found this tonight & what a winner! We did not have green pepper so we added sliced fresh mushrooms with all the other amazing ingredients! Why have we not made this till tonight? Awesome, Gina!!! Another winner & we LOVE you! 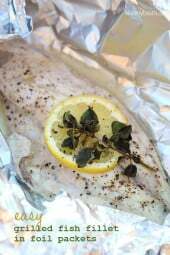 WOW – this was SO delicious and a lot easier than I expected. Thank you for being such a great source for healthy, flavorful, and not-too-hard-to-make recipes! This recipe is one I will definitely make again. OMG , this was amazing! I don't usually like seafood but couldn't get enough of this delicious dish. Served over low fat cheese grits. My sister, who paid 16.00 for this same dish at a Nashville restaurant this week, said this was 10 times better. Love your website and everything I've made from it so far.